Barnards Farm01277 811262work GardenThe 17 hectares of gardens at Barnards Farm range from landscaped walks through young woodland to the precise detail of the Japanese garden. The more formal gardens including a parterre, herbaceous borders, a living wall and the vegetable garden are found nearer the house. 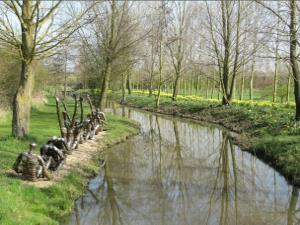 A walk through the managed landscape will take in the long avenue, a stream, ponds, and the Euro wood. A striking feature in the SW corner is the belvedere, planted largely with roses providing a blaze of colour in summer. The 17 hectares of gardens at Barnards Farm range from landscaped walks through young woodland to the precise detail of the Japanese garden. The more formal gardens including a parterre, herbaceous borders, a living wall and the vegetable garden are found nearer the house. A walk through the managed landscape will take in the long avenue, a stream, ponds, and the Euro wood. A striking feature in the SW corner is the belvedere, planted largely with roses providing a blaze of colour in summer.